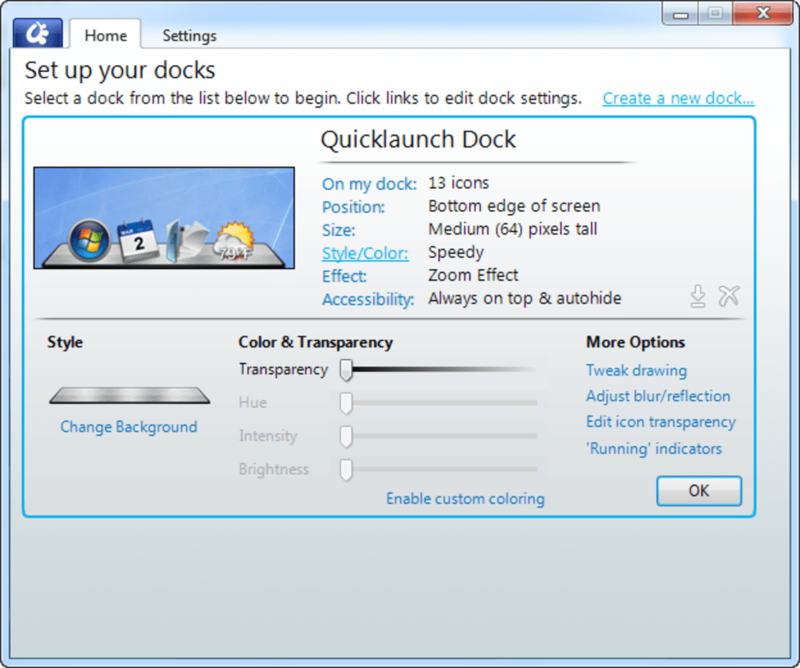 ObjectDock is a fully functional dock replacement for the standard Windows taskbar. If you like the look of Mac OS X's dock and want some Mac flair on your computer, ObjectDock is the perfect application to give you a little taste of OS X. 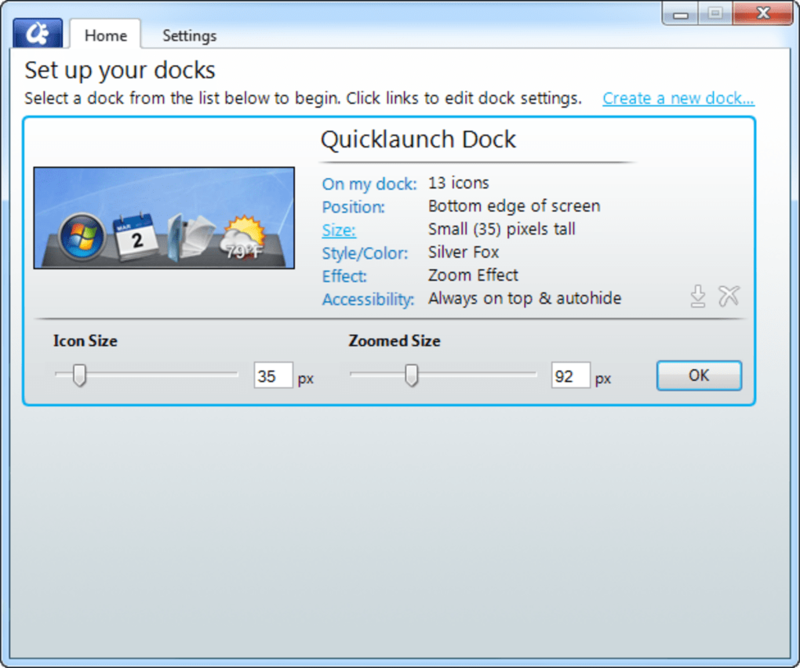 Many docks and desktop customization software that ship with computers are usually nothing more than shortcut launchers, but ObjectDock is different. It actually serves as a fully functional replacement for your Windows taskbar. Add as many shortcuts to the dock as you want for easy application launching. There's also several widgets you can add to the dock. The weather widget is particularly useful, with auto-updating weather for your location. If you hover over it, the widget will expand with a beautiful animation to reveal a five day forecast. 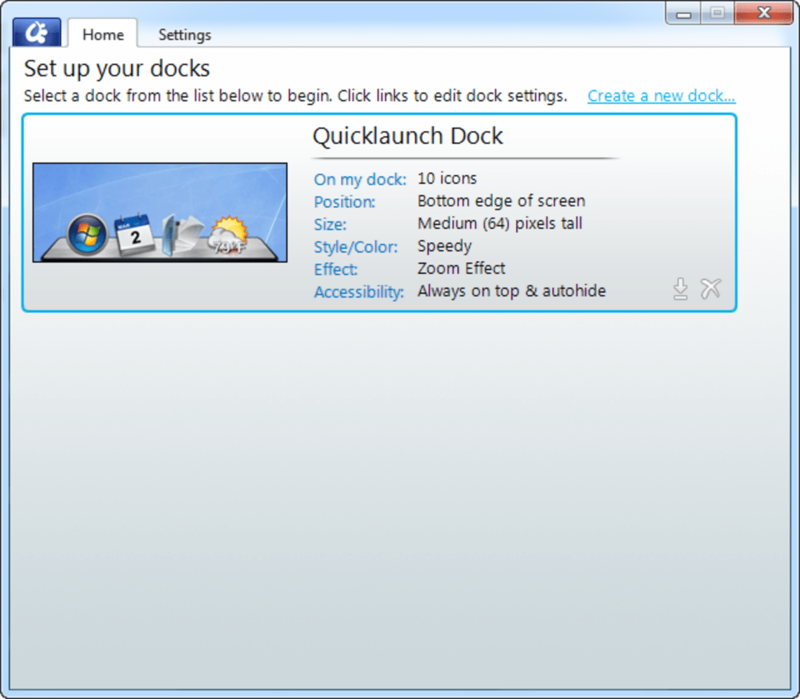 In use, ObjectDock is incredibly smooth and stable. 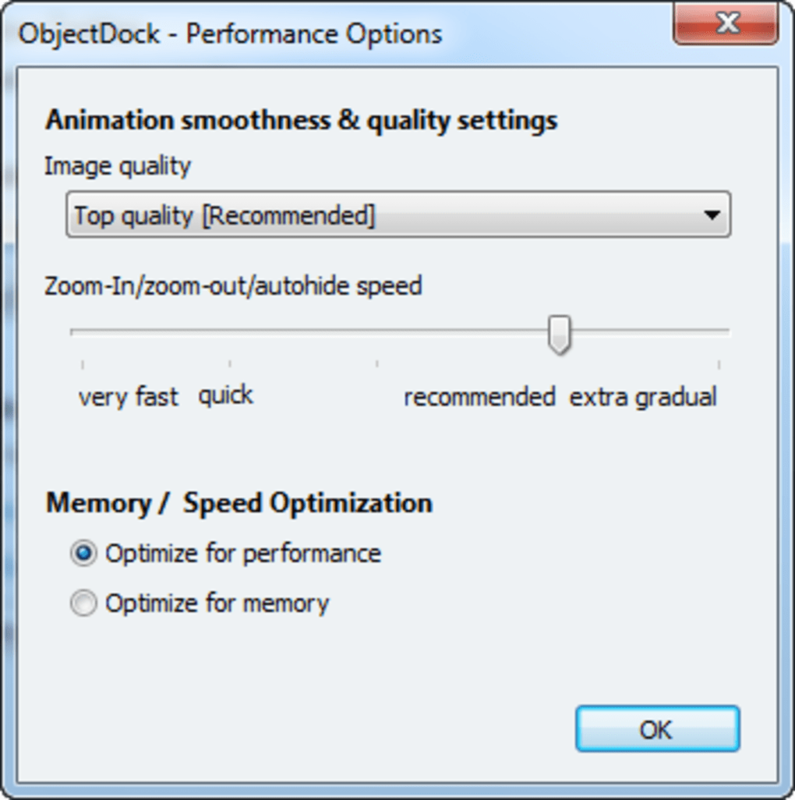 There are options to optimize for performance or for memory usage. 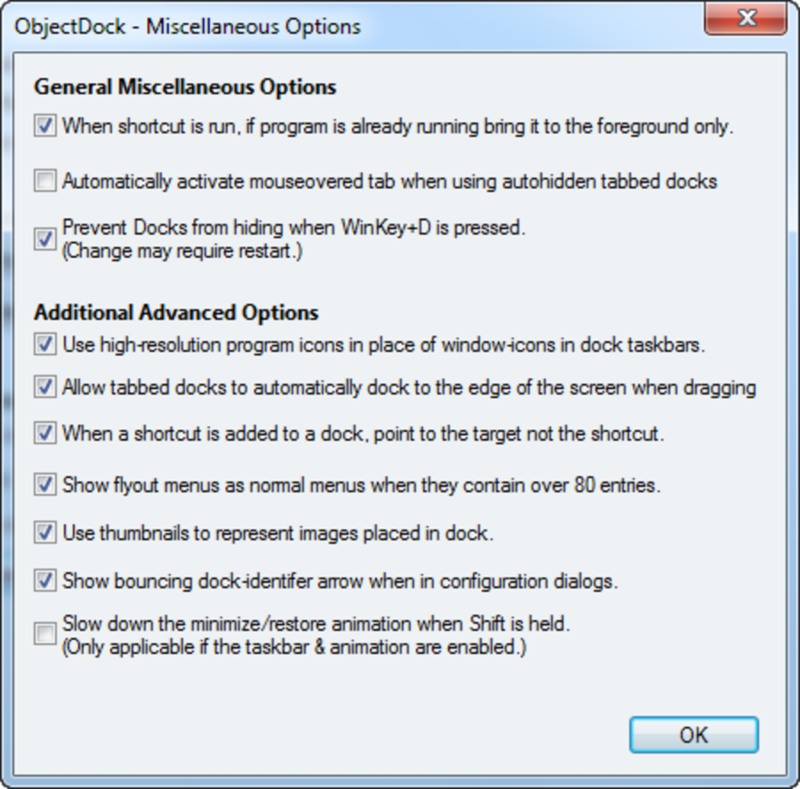 ObjectDock is a viable replacement for your Windows taskbar as it shows minimized windows and shows you which apps are running. You'll have to fork over for the full version to get features like system tray support and the ever useful "Aero peak" feature introduced with Windows 7, though. 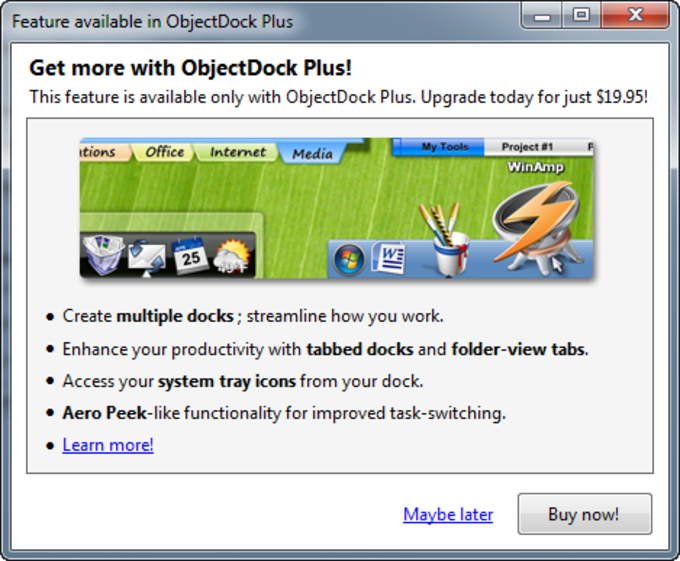 Overall, ObjectDock is a great taskbar replacement that's incredibly stable and useful. Highly recommended. One of the worst software packages out there. Terrible. Incompatible with ClassicShell releases, freezes continuously, has horrible graphics and it is full of bugs. Beautiful Design. 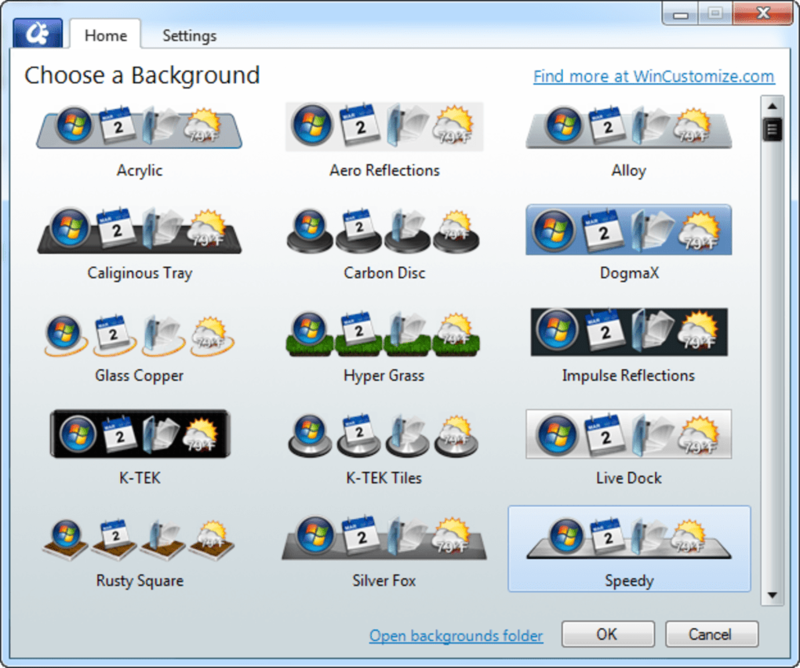 I love the design of this software and it is highly customizable. You can change what happens when you click on an icon and you can add your own icons. 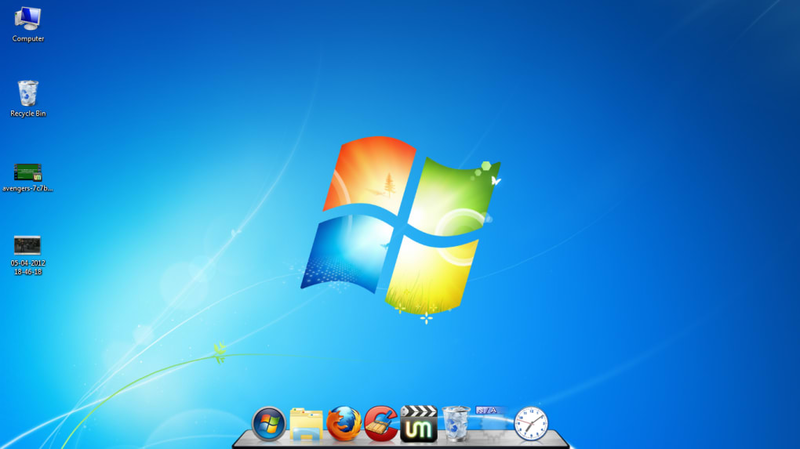 Ever since i downloaded this software i barely ever use my desktop and start menu any more. You can even choose which side of the screen to put it on. With Windows or Google Sidebar it creates a beautiful plethora on your screen. What do you think about ObjectDock? Do you recommend it? Why?